Your source for the Northwest’s best fresh, frozen and pureed berries. 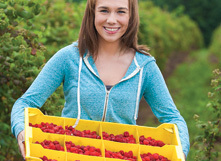 When you need premium hand-picked berries, start with the experts for berries in Oregon or anywhere. With a practiced eye and discriminating standards for quality fruit and rhubarb, our experts hand select only the cream of the crop, carefully overseeing its transition from field to packing house to distribution. We’re passionate about delivering only the best and it’s not uncommon to find us out in the middle of a field inspecting berries and talking harvest schedules to ensure our crops come off the vine at their peak. From field to frozen, the journey is a short one for our frozen and pureed fruit, allowing us to instantly lock in the juicy flavor and rich nutrients. Harvested when it reaches that precise moment of perfect ripeness, our berries are taken directly from the fields of Sandy Farms to an on-site processing plant to be painstakingly washed, sorted, quality inspected, prepared and custom packaged to keep its nutritious goodness intact. 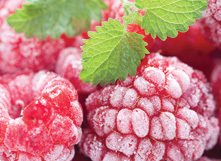 We specialize in providing the finest fresh, frozen and pureed berries for your fresh-to-market and commercial needs. In business since 2003, we’ve made our name through an unwavering commitment to serving our customers by sourcing only the finest northwest fresh berries picked at their peak. 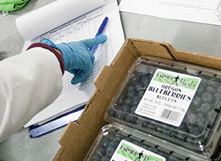 Our documentation and quality standards mean our berries can be traced back to their homegrown source. 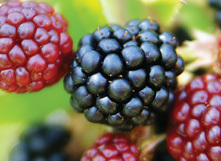 For those who believe that berries just taste better when you pick them yourself, Sandy Farms offers a U-Pick operation where you can pick raspberries, marionberries, Siskiyou blackberries, loganberries, blueberries and pie cherries to your heart’s content. Bring your family, take home the best berries on the planet!